The highly regarded global marketing awards recognize the effectiveness of campaigns and brands, and aim to reward the marketing communications industry for their creative ability and marketing prowess. A combination of the established Middle East marketing effectiveness awards and the internationally renowned Effies, the Gemas Effie Mena Awards seek to encourage best practices within the communications industry, while appreciating unique branding that is creative yet strategic enough to make a real impact on the market. 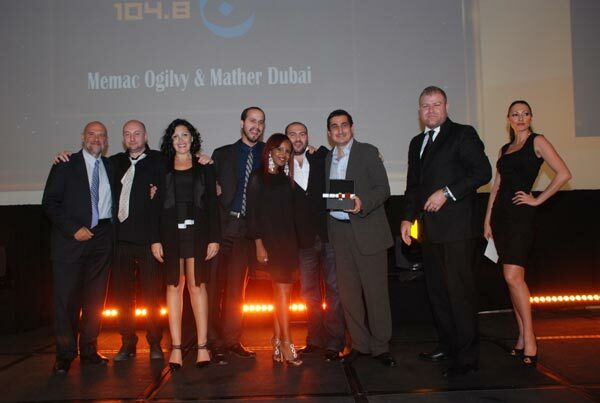 Merge 104.8, the only Omani Brand represented, received the bronze award for its achievements in the Media category, and given credit for the success of the new radio station, a mere six months old. In the same category, Merge 104.8 was joined by UNPA L’Epi d’or which scooped Gold and Wataniya Telecom which was also given a Bronze award. It is clear to see that the team at Memac Ogilvy has a strong passion for the Merge 104.8 brand having understood SABCO Media’s vision to create a fresh, new culturally fusing, community radio station in the Sultanate of Oman. Held at the Madinat Jumeirah in Dubai, the VIP awards event was attended by more than 1000 global and regional experts from the world of media, marketing, branding and communications. Guests at the event saw blue chip winners like Nissan Middle East, PepsiCo, HSBC Bank Middle East and Procter & Gamble collect their prestigious awards, which they received in some of the other categories such as Automotive, Sports Marketing, FMCG, Best Product Launch and Banking/Finance/Insurance.